“One of the first civilizations to make ceramics about 10,000 years ago, China is now developing technology to manufacture ceramics in space. Scientists at the Technology and Engineering Center for Space Utilization of the Chinese Academy of Sciences (CAS) have completed the world’s first ceramic manufacturing experiment under microgravity, using digital light processing technology aboard a European parabolic flight aircraft in Switzerland. 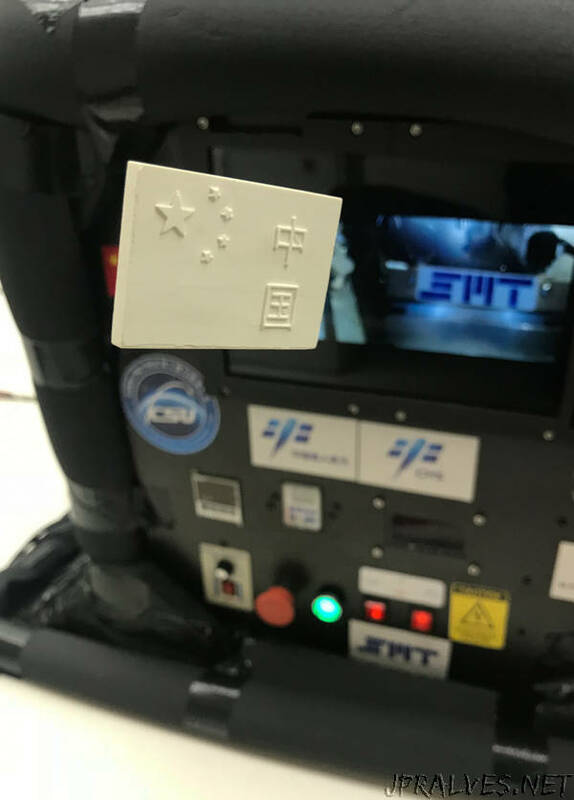 “This is a widely used 3D printing technology, but it’s previously been regarded as inapplicable in a microgravity environment,” said Wang Gong, director of the CAS Key Laboratory of Space Manufacturing Technology. Both experiments are aimed at developing technologies for producing instrument components on China’s future space station, or building large telescopes in space, or exploring the Moon and Mars, said Wang. “We can develop the technology to manufacture ceramic molds with the lunar dust, and then cast components by using metals in the lunar soil with the ceramic molds,” Wang said. “Our team has spent more than two years studying how to make a paste that does not float freely in microgravity, which is the most creative and valuable part of the technology. We think the technology can be used in processing many sorts of fine particles,” Wang said. “We want to test whether we can make a regular object with a smooth surface with the technology, and we made ceramic cubes to see their micro-structure in different gravity conditions,” said Wang. “The samples are of good quality, which shows the technology can be applied in different gravity conditions, and verifies the feasibility of the technology,” Wang said. The trial instruments require human operation. “Our long-term goal is to develop intelligent machines that can work on the Moon or Mars. But those machines will be more complicated,” Wang said.